General manager Tim Bezbatchenko, who helped build Toronto FC into a championship side, is leaving the MLS club. Bezbatchenko, who is from the Columbus suburb of Westerville in Ohio, is taking an executive position with Columbus Crew SC, according to sources familiar with the negotiations. General manager Tim Bezbatchenko, who helped build Toronto FC into a championship side, is leaving the MLS club. The 37-year-old Bezbatchenko, who is from the Columbus suburb of Westerville in Ohio, is taking an executive position with Columbus Crew SC, according to sources familiar with the negotiations. It's believed Bezbatchenko will oversee both the soccer and business side for Columbus. Former New York Red Bulls sporting director Ali Curtis is in the running to be Bezbatchenko's replacement. Toronto FC had no official comment on Bezbatchenko's future. An email to Columbus did not produce an immediate response. 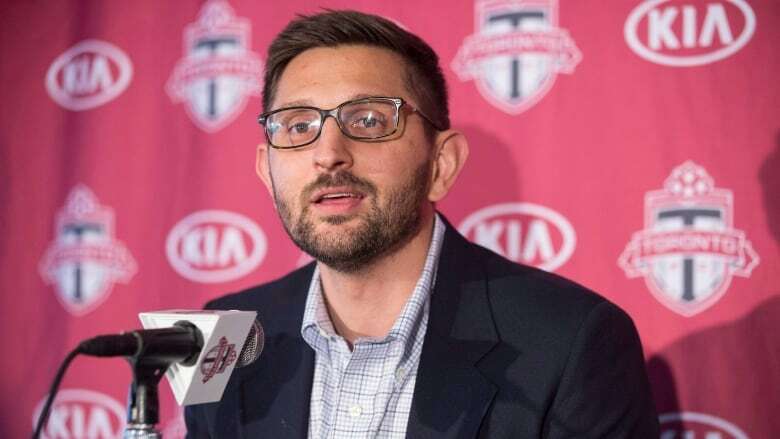 Bezbatchenko, who was also TFC's senior vice-president of soccer operations, joined Toronto in September 2013, inheriting a team that was 4-14-11 on the season and a woeful 49-102-66 all-time in league play. Under Bezbatchenko, Toronto posted a 72-65-48 regular-season record and reached two MLS Cup finals, hoisting the Cup in 2017 after winning the Supporters' Shield with a then-record 69 points. Toronto also won the Canadian Championship in 2016, '17 and '18 and reached the final of the CONCACAF Champions League in 2018. A lawyer with degrees from the University of Cincinnati and the University of Richmond, he came from MLS where he was the league's senior director of player relations and competition. Bezbatchenko went on to remake the team, filling key holes and installing a new coaching lineup. Bezbatchenko landed first Jermain Defoe and Michael Bradley and then Jozy Altidore and Sebastian Giovinco as designated players. Defoe lasted just one season but Bradley, Giovinco and Altidore endured and became the foundation for TFC's success. In August 2014, Bezbatchenko pulled the trigger on manager Ryan Nelsen and replaced the former New Zealand international with Greg Vanney, who went on to become the club's most successful coach. Bezbatchenko joins a Columbus franchise under new ownership. MLS announced last month that it had an agreement in principle with the Haslam and Edwards families to become MLS owners and take over operating rights starting this month. The Haslam family owns the NFL's Cleveland Browns. The announcement follows news of a public-private partnership to construct a new downtown soccer stadium for the Columbus team. Precourt Sports Ventures, which had acquired the Crew operating rights in July 2013, is looking to field a new team in Austin, Texas.